Audible really brings us convenience access to quality listening. It provides 100,000+ audio books on their website and attract numerous people every day. If you are an Audible audio books lover and purchase a lot of audio books from Audible, you will find that these Audible audio books are DRM protected and make it impossible to play them on portable audio players. 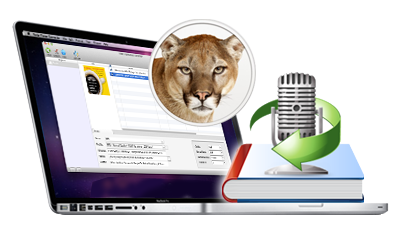 Now I recommend Ondesoft Audible AudioBook Converter for Mac – which is devoted to converting Audible .AA audio books and other audio books to MP3 or AAC to remove DRM protection. Here is a guide to show you how to convert Audible .AA audio book with AudioBook Converter. 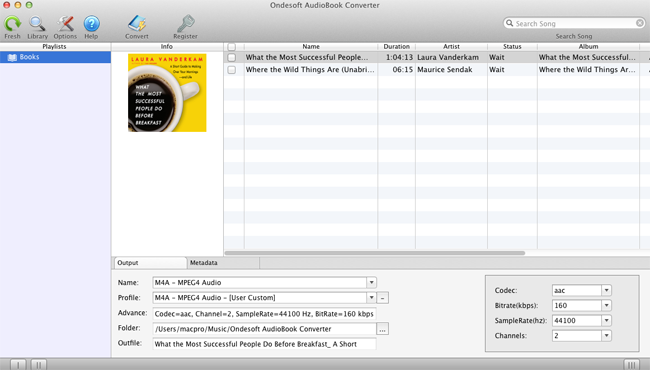 Step1: Free download Audible AudioBook Converter for Mac, install and run it. The downloaded Audible Audiobook Converter is just a trial version with the limitation that converts only 3 minutes of each Audible audiobook. Purchase a full version to remove this limitation. Audible AudioBook Converter imports .AA audiobooks from iTunes automatically. So there is no need to add them manually. Select Audible audiobooks you want to convert or use the search box to quickly find the Audible audiobooks you need. Batch conversion is supported. 2. Click "Options" button to open the preferences panel and you will find two tabs: General and Advance. The General window enables you to change the conversion speed – from 1X to 16X; set filename format; choose to save metadata and other options. Choose Advance window to configure a new profile and save it. When finish all the settings above, press "Convert" button to start converting the Audible .AA audiobooks.